Here is the Dangerous Rays dev diary 21. This system still need some tweaks but it's already working pretty nicely. I have optimized the vegetation system quite heavilly. The old system used in alpha 17 version was causing some micro freezes when the player was moving. The old vegetation update system was sometimes taking almost 7 milliseconds CPU time per frame wich is pretty big and cause those micro freezes. 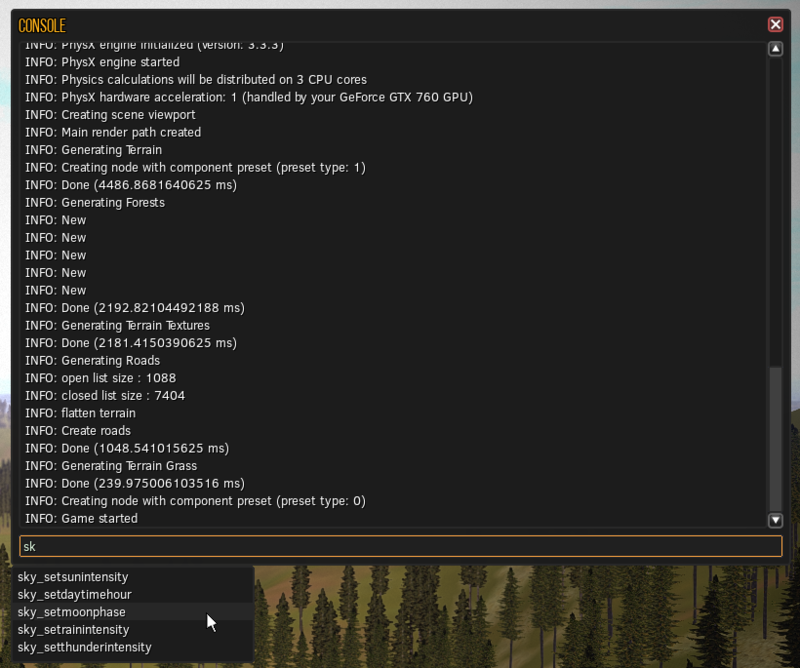 The new vegetation update system now take approximatly 0.5 to 1 millisecond CPU time per frame. Much better isn't it ? Now those micro freezes are eliminated and the game feel more "smooth". I have also improved the ingame console. The console now display everything that is logged into "debug log" file so you can see much more information about what's going on inside the Dangerous Rays engine. This could help players willing to report bugs to better see what's could cause some issues by looking at the messages displayed in console. The suggested command list works better and finally multiples commands parameters are supported so the exposed console commands can be more complex. I have started to work on the new world procedual generation system. Alpha 17 version was generating some decent environment but i was not satisfied enough with it. Thanks of all improvements i have made in the engine, i think i can do a much better job now. So i have started with terrain and forests generation. The terrain relief is now more flat to allow some villages and cities to be added more easilly in the future but don't worry in the future i will add some zones in the world with mountainous terrain. 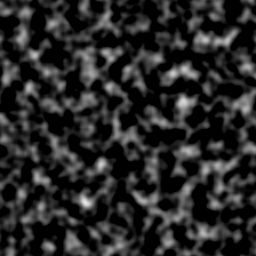 Then after that i am generating forests trees based on this perlin noise map. This make some nice forest areas all over the terrain. 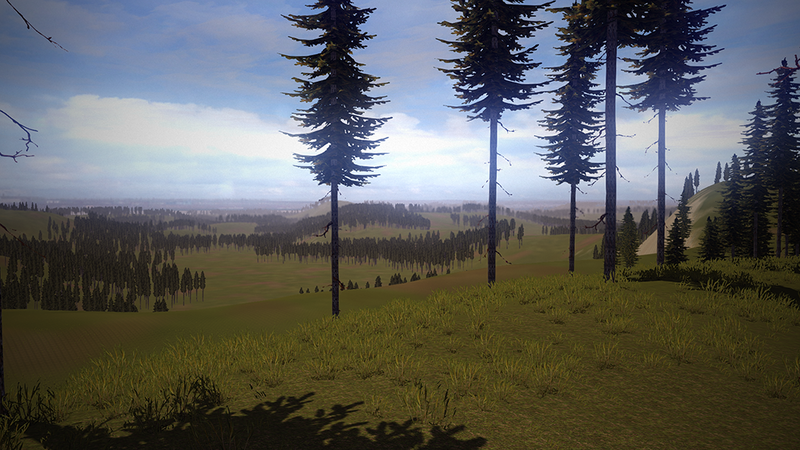 Alpha 17 version forests were a bit monotonous because they were generated almost on hills only. This "problem" is fixed now. Of course what you can see on this screenshot is "Work In Progress". A lot of tree types and size will be added in the final alpha 18 version. Xavier (see: https://www.dangerousrays.com/devteam) is working on roads generation system and he is making some very nice progress actually ! The roads network generation is much faster than before and the new system will allow me to code the generation of some villages and small cities in the future. For your reminder here is the list of changes and improvements in this area of the development. Screenshots of those improvements are coming soon. As always thank you for your support and thank you for being more and more active these days, your comments are really appreciated. You guys are awesome. It's made of a layer system, for each output: Height, color, grass, trees, objects - everything. Layers react to perlin noises, height, steepness, splat textures, everything! That gives a great amount of control on what you want to generate. If you plan on giving us control over terrain generation, which I would really appreciate, this is probably the best way to go:) I hope we can also manage resources the generation uses, like grasses, splats, objects and trees. Thanks for your continuing work on DR, keep the heads up! Of course this tool is very interesting but for now i can't spend so much time on the terrain generation as i have plenty of more things to do. Develop a tool like This Unity tool take a lot of time. Modders will be able at alpha 18 release time or a short time after to have a complete control over the generation. I am planning to do a dev diary 100% focused on modding in a few weeks. Modders are going to be able to generate the terrain they want and spawn any game object (weapons, trees, buildings, grass...) where they want by using the scripting language integrated in the game engine. So making crazy stuff will be possible. Good job! The new procedural generation system is very nice. I don't really like the mountains in the game. I think the better they will be away from the main zone. Looks great, guys! I'm not around as often as before, but I keep an eye on the development and it's more and more promising! I can't wait to be back home on my computer for the Steam release.